"I'm going to recreate and reinvent myself, but I'm not going to retire." 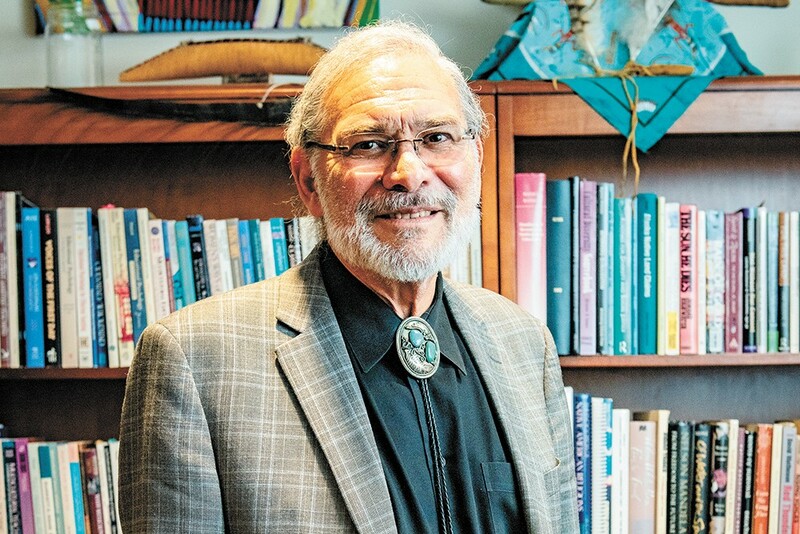 Raymond Reyes started at Gonzaga University as a professor in 1987 in the School of Education, and now serves as the school's associate academic vice president and chief diversity officer. Previously, he served as the administrative director for the Coeur d'Alene Tribe of Idaho. His fingerprints can be found on many of Gonzaga's centers and programs promoting multicultural education, as well as the Institute for Hate Studies. For Reyes, "PC" doesn't stand for political correctness, but rather promoting consciousness — how to look at not only the political, economic and social issues of human difference, but the spiritual. The following interview has been lightly edited for length and clarity. INLANDER: What is the work that you are doing today on campus? REYES: My work at Gonzaga is trying to understand how culture is a way of life that allows one to walk the spiritual path with practical feet. That's what I try to do. I try to introduce and invite people to explore their deep humanity within their cultural context and how can they learn from and about others who are culturally different than them. Not only just in race and ethnicity, but every social identity under the blue dome, I often say, under the sky. There are 7.5 billion human beings speaking over 6,000 languages on this planet. There's so many different cultures and so many different expressions of creativity, the divine imagination that we're fortunate to be blessed with on planet Earth. What have you noticed about the evolution of activism among GU students over the past 32 years? The students are becoming more vocal, outspoken, more sophisticated in their strategies, more visible and more open in terms of their protests. They're more willing to do what Langston Hughes calls "What happens to a dream deferred? Does it explode?" They reach a boiling point and they begin to demand. So the shift, I think, when I was here in 2002 when the [student-made video addressing prejudice on campus] "We Stayed" video came out, compared to 2017 when the "Where Were You When?" video came out, it's an interesting contrast case study in student activism. In 2002, if you talked to the students in hindsight ... they almost sound apologetic about even recommending change, versus the students in 2017 or even in 2019 are demanding. They're saying "No more." This is what we need, what we want, more outward expression of accountability. You have said that your children and grandchildren have taught you what it means to be human. What have they taught you? They challenge me and stretch me with patience, so to be patient with somebody who's different than you. My children do that. I think it's about acceptance and curiosity. If being patient with somebody, experiencing being patient with yourself in relationship to someone's difference, and accepting that difference, not judging it, not engaging in implicit bias and then, as a result of being patient and being accepting, I then suspend my certainty about what I think I know, which then stirs the movements of curiosity. You've had a decorated career. What's next for you? The original print version of this article was headlined "Q&A Raymond Reyes"